Hey, who knew Ned Flanders' dad had made a record? This collection of beatnik fairy tales serves no greater purpose than to entertain with an abundance of guffaw-inducing takes on children's tales, usually accompanied by some noodlesome, café-dwelling jazz. 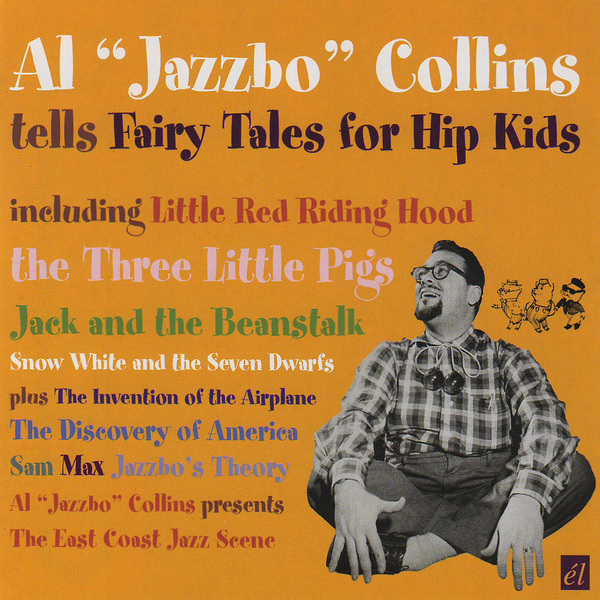 Radio DJ, Al 'Jazzbo' Collins re-tells popular tales with his unique and hilarious use of '50s hipster slang and street speak. Little Red Riding Hood encounters her nemesis with the following exchange: ""I don't want to sound square, but you don't look like my grandma at all. You look like some other cat." "Baby," said The Wolf, "you're flippin'". You can expect the same sort of treatment of Snow White and Three Little Pigs, plus there's a historically dubious rendition of Columbus' arrival on American shores, plus an account of aviation's nascent moments with the Wright Brothers, on 'The Invention Of The Airplane'. Far more entertaining than you might imagine, this combination of tall tales and droll, jazzman delivery turns out to be far less of a novelty than you'd imagine, and it quickly reveals itself as a genuine treat.